Adam Schiff was born on June 22, 1960, in Framingham, Massachusetts, the son of Edward and Sherrill Ann Schiff. He was raised in a Jewish family, and moved to Danville, California, during high school. He graduated from Monte Vista High School and received a political science degree from Stanford University and a law degree from Harvard Law School. Schiff was elected to the California State Senate in 1996, after two unsuccessful bids for state assembly. He served on that body’s Judiciary Committee, the Senate Select Committee on Juvenile Justice and the Joint Committee on the Arts. He focused on strengthening California’s schools, after-school programs and public safety laws. In the most costly House race in U.S. history in 2000, Schiff was elected as a Democrat to represent California’s 29th Congressional District, which includes the communities of Altadena, Burbank, Glendale, La Canada Flintridge, La Crescenta, Pasadena, San Marino, South Pasadena and Sunland Tujunga. He was reelected again 2018. Throughout his tenure in Congress, he has focused on growing the economy, bolstering national security, strengthening our communities, helping small businesses, and improving education, safety and health care for our children. In his 9th term in the House of Representatives, Schiff currently serves as the Ranking Member, or top Democrat, of the House Permanent Select Committee on Intelligence. The House Permanent Select Committee on Intelligence oversees the nation’s intelligence agencies including components of the Departments of Defense, Homeland Security, Justice, State and Energy. Schiff is currently on a leave of absence from the House Appropriations Committee. Schiff has also been a leader on national security and foreign policy efforts in Congress, and has pushed for a broader strategy that emphasizes diplomacy, intelligence reform, and efforts to stabilize countries that are at risk of becoming future failed states and havens for terrorists. He has advanced efforts to ensure the safety of all Americans by addressing nuclear proliferation, and is the author of the Nuclear Forensics and Attribution Act, which President Obama signed into law on February 16, 2010. 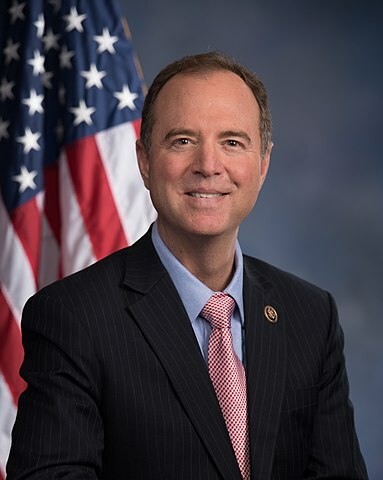 Schiff has also been a leader on human rights, and a forceful advocate for recognition of the Armenian Genocide of 1915-23. Schiff has also been an outspoken leader in the effort to end or “sunset” the 2001 Authorization to Use Military Force, which he believes no longer applies to the current struggle against ISIS and the diffuse franchises of al-Qaeda scattered around the world. Schiff also co-founded the Congressional Caucus for Freedom of the Press in May 2006, a bipartisan, bicameral caucus that is chaired by Schiff. The Freedom of the Press Caucus aims to advance press freedom around the world by creating a forum to combat and condemn media censorship and the persecution of journalists around the world. Schiff is also the author of the Daniel Pearl Freedom of the Press Act, signed into law by President Obama on May 17, 2010. As a former federal prosecutor, Schiff has made improving public safety, with an emphasis on smart, cost-effective solutions, a major focus of his work in Congress. Among his successes are obtaining federal funding to create a Foothills Regional DNA Lab in Glendale to speed the processing of DNA evidence in Glendale, Burbank, Pasadena, and other foothill cities and take violent offenders off the street. Legislatively, he introduced the Katie Sepich Enhanced DNA Act of 2012 which encourages states to collect DNA upon arrest for certain felonies in order to solve open cases and prevent further crimes, legislation which was signed in to law on January 10th, 2013. Adam, and his wife, Eve, have two children, Alexa Marion and Elijah Harris. They reside in Burbank.